Eve Waldron is an honours graduate of the Rhode Island School of Design and Carnegie Mellon University. Originally from New York, she has over 20 years’ experience designing both commercial and domestic interiors. Eve’s approach to projects melds the traditional disciplines of architecture and interior design by resolving both spacial and stylistic concerns while respecting the architectural context. With a degree in Industrial Design, Eve enjoys designing project specific furniture, lighting and textiles. She has worked for architectural practices in both New York and London, including Gensler, Kohn Pederson Fox and Skidmore Owings & Merrill. While working at these practices her clients were mainly Fortune 500 institutions. Since setting up her own practice she continues to enjoy working as part of a big team with some of the largest architectural practices. Her experience on smaller projects has extended her creativity whilst proving equally rewarding. Drawing on her experience she currently sits on the panel for the RIBA’s annual small practice conference: Guerilla Tactics and is Design Director for carpet manufacturer Quadrant Modular. Eve is an affiliate member of the RIBA. Eve’s roots in product design have led her to develop a range of furniture and rugs. Special commissions or variations on existing designs are also welcome. With a heritage steeped in the arts – her mother is New York artist Phyllis Floyd and father was writer Eli Waldron – Eve’s artistic skills span 2D, glass and sculpture. She has been commissioned twice under the Section 106 Public Art Guidelines to produce public art. Eve also commissions artists and has curated changing art shows in offices. She has implemented shows of student work as well as orchestrating student competitions. 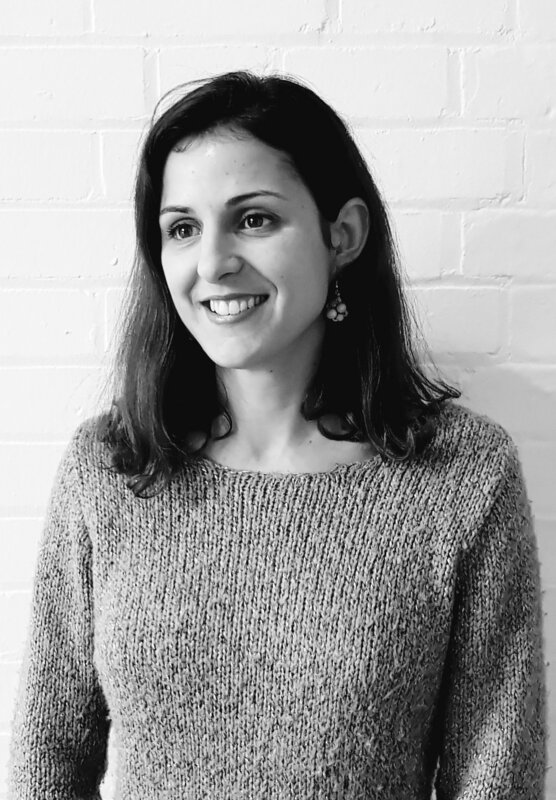 CÉLIA IS A QUALIFIED INTERIOR DESIGNER WITH EXTENSIVE WORKPLACE DESIGN EXPERIENCE IN THE UK AND OVERSEAS. SHE HAS HAD 5 YEARS + EXPERIENCE OF WORKING IN LONDON DESIGN PRACTICES SUCH AS HASSELL LIMITED AND ARTILLERY ARCHITECTURE AND INTERIOR DESIGN, BOTH OF WHICH SPECIALISE IN HIGH END CORPORATE CLIENTELE. CÉLIA IS A CONFIDENT AND ENTHUSIASTIC DESIGNER WITH EXTENSIVE EXPERIENCE IN WORK PLACE DESIGN. 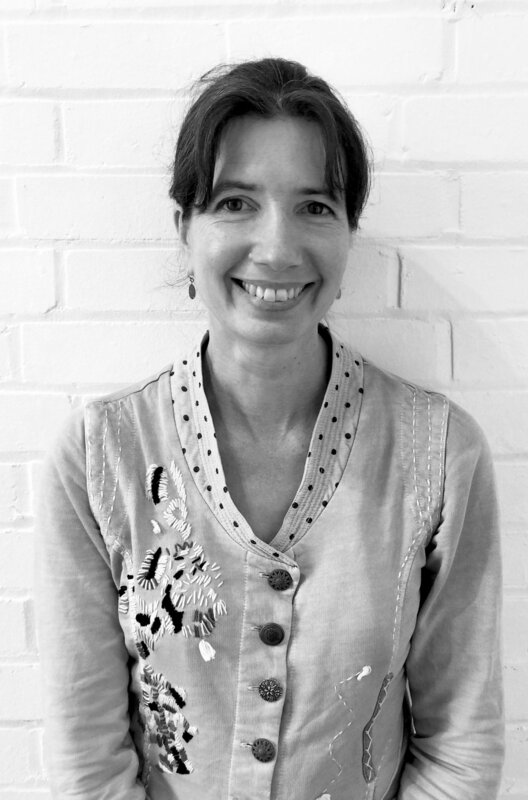 SHE HAS WORKED and BEEN A KEY PLAYER IN THE DESIGN TEAM CATERING TO LARGE CORPORATE COMPANIES SUCH AS CATLIN LTD, CINER GROUP AND THE WELL REPUTED SKY LTD. CÉLIA HAS HAD EXPERIENCE OF WORKING WITHIN WORK PLACE DESIGN CREATING AGILE, ERGONOMIC AND SUSTAINABLE WORKING SPACES UP TO 2,90,000 SQ.FT. FOR THE SKY CENTRAL AND SKY LEEDS TEAMS. She is bilingual and speaks english & portuguese. Tracy is a chartered accountant with over 25 years’ post qualification experience. She trained, qualified and spent her early professional years working for big firms in London but has been working on a freelance basis with growing, owner-managed businesses for the last 17 years. Tracy deals with our payroll, in house accounting and project accounting. She lives in Saffron Walden with two teenage children, a snake and a hamster. Manjiri is a Senior Interior Designer/ Project Co-ordinator with 15+ years experience in the commercial and retail sector in the UK with emphasis on Architectural/Interior Design and Project Management & delivery. Project sectors include workplace design and major retailers, supermarkets and banking. Her most recent project was a 15 million pound refurbishment for a city centre shopping centre in Cambridge while working within a large, national architectural practice, Corstorphine & Wright Architects. Manjiri has experience in managing projects on roll-outs with restricted timelines and budgets as well as vast experience of running projects from inception through to completion, sketch design, client/contractor liaison and on-site delivery. She has a versatile and flexible approach, good managerial and effective communication skills. Qualifications: Full Member BIID (British Institute of Interior Designers) since 2008. 2000 - 2002 Masters Degree in Interior Architecture, Burg Giebichenstein Germany. Katarzyna is an Architectural assistant at EWD. She graduated in architecture from the Silesian University of Technology in Architecture from Poland. She studied part of her course in Spain and spent a few months at the University of Zaragoza. Katarzyna has experience in the commercial and residential sectors and has worked on small - large scale projects in the UK as well as in Poland. She has experience in coordinating drawing packages from concept through to completion and a great sense of design, space planning and colour schemes as well as proficiency in 3D modelling, Adobe and CAD software. Katarzyna has a very positive attitude to life and work and a ready smile! Adeline has 2+ years’ experience working in interior design and marketing. Whilst at Eve Waldron Design, she has gained valuable experience working on projects for property developers, commercial & residential clients and the University of Cambridge. She launched the new company website and manages ewd digital marketing and press. Megan is a furniture and product designer with a passion for interior design. Since graduating she has delivered complicated and technical residential kitchens as well as collaborating on designs for several exclusive property developments in Bath and Bristol. Megan has experience in liaising with contractors on site and overseeing projects are installed to the highest quality. Having worked closely with the Cambridge colleges, Megan’s expertise and knowledge lies with detailing bespoke joinery and specifying products suitable for purpose of the space in which she is designing for. Her role within the team has been to create projects from the early concept stages through to construction. Megan has strong interpersonal and communication skills and is a key player as part of the Design team at EWD. Helen studied Natural Sciences (Chemistry) at Cambridge and then Theology at Oxford, so the obvious next step was Interior Design! Her responsibilities include project management, keeping the office running, and assisting with the company accounts. Helen previously worked at Trinity College Computer Office on the College website. She has five children which has helped develop her multi-tasking skills.